We have been out of town in Southern California and I apologize that I missed a day! I had just been in a wedding in our home town last Friday-Sunday, came home and turned around and drove to Los Angeles for Monday-Wednesday. We had an amazing trip playing tourists in Hollywood and Santa Monica. Then yesterday went to watch the Giants play the Angels with my sister-in-law and her husband. It was a total blast, yet it feels good to be home at last!!! 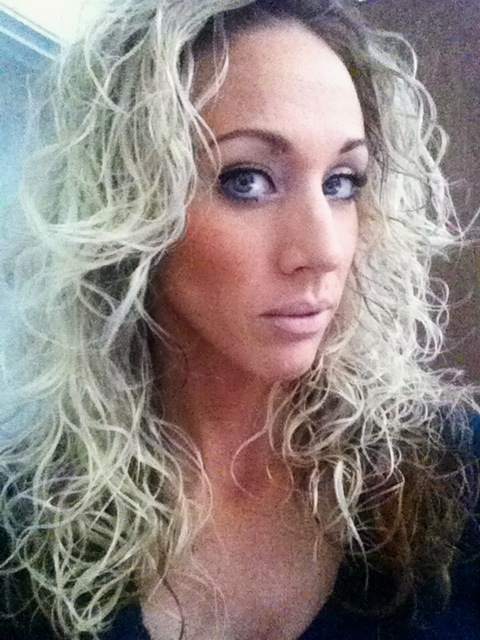 There are days when you just need to let your natural texture and style take over, this was one of those days! Sometimes it is just not worth fighting with the dryer, and irons to soften, smooth and relax your curl. Remember to embrace what you were naturally given. You would be surprised how easily your hair will fall into its natural given form!